I grew up in the latter half of the 1970’s and the early 1980’s, where corporal punishment was the rule of thumb. My parents scoffed at the concept of sparing the rod, breaking the rod was probably more in line with their philosophy. In retrospect I am grateful that the rod was not withheld and even more grateful that it was broken in the act of chasing the recalcitrance from my person. What always saved the day was love. Pure, unconditional and unfiltered – that I always found myself on the receiving end of. Nowadays sparing the rod and spoiling (or neglecting in some cases) the child seems to be norm, rather than the exception. But as for my siblings and many of my peers in the neighborhood “whooping” was the accepted terminology. My Dad wielded the belt with deadly efficiency, while my Mom used the belt, broomstick and sometimes that extension cord from the popcorn popper with such improvisational dexterity that it would have put Bruce Lee to shame. Even more intimidating than my parents was the prospect of crossing the line of discipline in the presence of my Aunt Lillian, who would have me march outside to cut a “switch” from a tree and bring it back for her utilization. I was walking on eggshells a lot of the time, but now I can look back with a tinge of nostalgia and a lot of laughter. Actually, I had a flashback in the process of doing a chapter rewrite. In reviewing some notes that I took in pencil I found myself staring at the words; not because I was unable to interpret my own handwriting, in actuality my penmanship is impeccable but I found myself erupting in laughter as I remembered why that was. When I was a kid one of the things that my Dad used as one of his unique forms of punishment was for me to write 100 times “I will be intelligent”, legibly on college ruled paper. If there was a letter out of place or if one of the lines were smudged or illegible, he would order me to do the entire exercise all over again. I hated it with a passion so much that I would lobby for another form of punishment instead having to go through the agony of sore aching fingers that was the side effect of my Father’s barbarism. Consequently, I was a novelty in grammar school as the kid whose handwriting looked as if it came out of a printing press. Apparently, all of that writing made me a penmanship machine, the teachers would marvel at the work wrought by my pencil and little hands. Classmates would clamor around to see me write something and I never quite understood the appeal. As I got older I was often leveled with the “tongue in cheek” compliment that I wrote neat for a guy, as if I was predisposed to write in “cat scratch”. More importantly, what I learned from this creative form of “corporal” punishment was that repetition is a powerful thing. I had my face plastered in a fixed position over college ruled paper, with pencil in hand, writing lines so much that, I started to believe whatever I was compelled to write. Although I had my moments, especially as a teenager “I will be intelligent” was always lodged firmly in the back of my mind, even if my actions didn’t personify the core elements of intelligence that my Dad mandated that I exhibit. 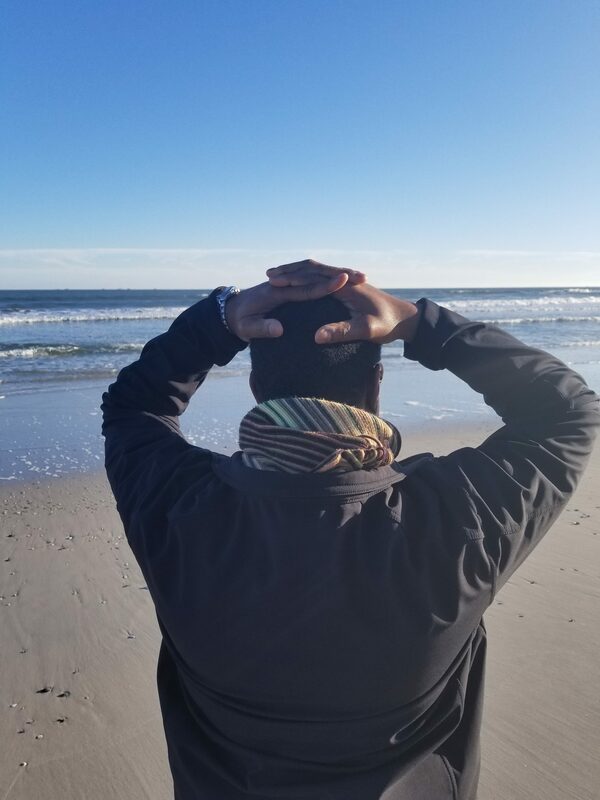 When I had my “eureka” moment in the latter half of my sophomore year of high school, it was a culmination of a host of experiences that lead from me going from one extreme of the spectrum to the other. I went from being the omnipresent discipline problem of the class to the studious, inquisitive kid that was always prattling on about something that he had read. More importantly I think it was a subconscious need to justify the investment that my Dad made in maintaining a dogged belief in his boy reaching his potential. 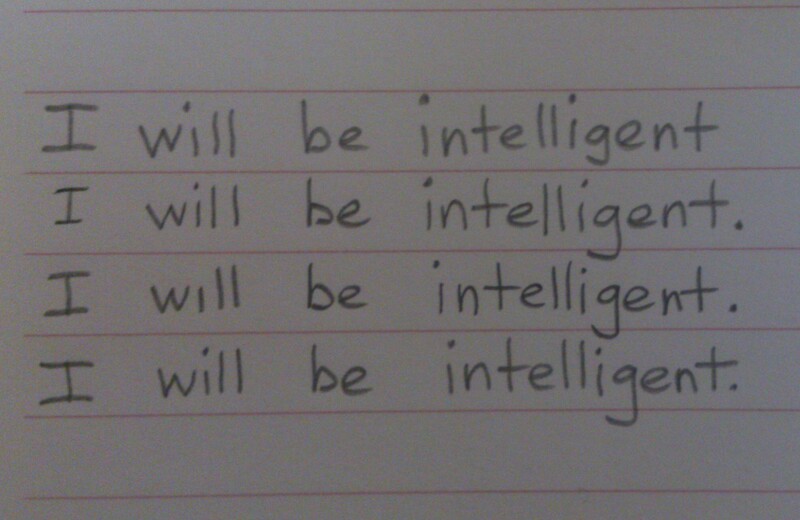 In retrospect I’m certain that this wasn’t an accident in how “I will be intelligent” went from a creative punishment, morphed into an expectation and then into an ongoing goal that I TRY (sometimes unsuccessfully) to put into practice on a daily basis. Shun, I grew up in the same era, but my parents took a different approach. I only got one spanking. That could be attributed more to my own desire to be a doting child than fear of my parents disciplining. I was always more concerned about disappointing my parents than any beating that I might get. I saw my older brother and sister get so many beatings, I learned vicariously through them, I suppose. When I was in the 3rd grade — the year was 1973 — I went home from Kmart with something in my pocket that my dad told me I couldn’t have. It was a little $4.00 toy. I don’t recall exactly what it was. But my dad gave me a good one with the belt when he saw me playing with it, knowing he had told me he wasn’t going to buy it. After the beating, he yanked back to the store to pay for it. That was my only beating. Needless to say, I never took anything without paying for it after that day. I twice was sentenced to writing those repetitive statements around grade 6 or 7: once was a global punishment for the whole class when two kids were fighting, causing a disruption; another was for me running in the hall. I took issue at the teacher punishing the whole class for the misbehavior of only a few class members when I wasn’t one of the offending parties). But I clearly was wrong for breaking the rule of running and took my punishment without hesitation, even though I felt justified in breaking that rule (lunch period was only 20 minutes and you could easily spend half of that time just trying to get through the line to get your food. The sooner I got to the cafeteria, the less time I had to wait in line). I was caught and had to write 100 times that “I won’t run in the hallway.” But nonetheless, I agree. It certainly is a powerful tool, and taught a great lesson. Writing it over and over again makes you think. I like what you said about writing “I am intelligent” over and over again. We need to make kids write that, and write “I am beautiful” and “I love myself” and “I will achieve great things” and write many other affirmations that kids talk themselves out of or convince themselves they can’t do. I wonder what a difference it will have on empowering some of the troubled kids in this world. I needed 92.8% of those whoopings Will,LOL. I was a “challenging” kid to say the least. Yes affirmations would do wonders, but nowadays some people seem to be too busy to quibble with something as trival as parenting. Thank for the immense honor misssamanthajill, but I think I am wholly unworthy! I am truly flattered!